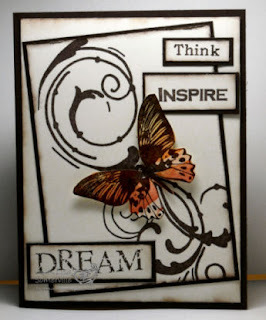 It's challenge #3 at Innovative Stamp Creations - and you could win FREE stamps! 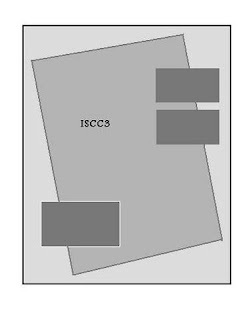 This weeks challenge is to use the sketch shown here using ISC stamps only on your design. Here's the card I created using this weeks sketch....I used the Spectrum Roll Technique (TJNL) to add color to my butterfly. Be sure to post your link in the comments section on the ISC Blog to be eligible to win. I love how the only color is the butterfly! !